Being a Realtor, I see thousands of homes per year and one of the biggest trends right now is making your home more efficient. This increases your home’s value drastically. 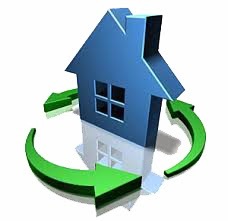 A buyer has more purchasing power for an energy efficient home because of the lower monthly utility costs. A few popular energy saving modifications are listed below. Add Solar Panels to offset your energy costs. This is the most popular trend I have noticed in my home buyers “wants” in their future home. The amount of energy savings varies depending on the amount of panels and the exposure to the sun, but you have the option to purchase or lease. The tax credit is 30 percent of the cost of the solar equipment added to the home and is available through 2016. Add insulation to your garage doors. According to statistics, insulating doors may improve the energy efficiency in your garage by 71 percent. By controlling the temperature throughout the hot summer months and cold winter months, you will have substantial savings on your energy bills. Go tankless! A tankless water heater only produces hot water when you turn it on and it never runs out. Switch out old plumbing fixtures for new water conserving ones and lower your water bills. A new California law will require the retrofitting of non-water conserving plumbing fixtures. Old faucets, showerheads, toilets, water heaters and more will need to be replaced by January 1, 2019. If you have a hot tub, add an extra layer of insulation to it. A thermal blanket is a cost effective way to help maintain the water temperature. These Styrofoam sheets float on top of the water and trap the heat that would be escaping from the top of the hot tub. These blankets cost less than $100 and help a great deal during the winter. As your incandescent and CFL light bulbs burn out, switch to energy efficient LED light bulbs. While LED’s may cost more than CFL’s, they provide better lighting, last 10 times longer and use 75-80% less energy than CFL light bulbs. The lifespan for these bulbs is around 22 years and the prices have recently dropped.